Wooden Christmas Nativity Scene Set: Perfect for getting in the Christmas spirit and telling the Christmas story. A wood nativity set will become a treasured possession to be passed down through the generations. For ready-made ease choose the beautifully made Sevi Large Nativity Scene set. Complete with timber stable, camels, sheep, and donkey, three wise men, the shepherds and the angel. All ready to celebrate the birth of Jesus. Set up the manger scene with Mary and Joseph and the animals. Then wait for the baby Jesus and all his visitors to arrive. 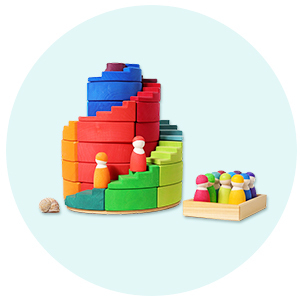 Sevi has been making top quality wooden toys since 1831. 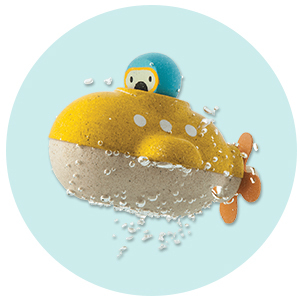 Their unique style and continental colours make them a popular choice for children and adults alike. The charming faces on the figurines and exquisite attention to detail make these wonderful Christmas ornaments. Alternatively build your nativity scene set from Holztigers stunning hand carved, hand painted wooden nativity set toys. Or create an alternative Christmas wooden scene with Santa and his Sleigh. Setting up a wooden nativity set for many of us will be a Christmas tradition we remember from childhood. Maybe they were figures you were allowed to play with or maybe they were precious wooden nativity set ornaments to be admired but not touched. These lovely wooden nativity set toys make the perfect nativity display that can be played with for hours on end year after year and yet still look simply stunning as part of your Christmas decorations. The Sevi set is comes with everything you need for the Christmas story or you can build your own from wonderful individual wooden figurines. Perfect for open-ended play. 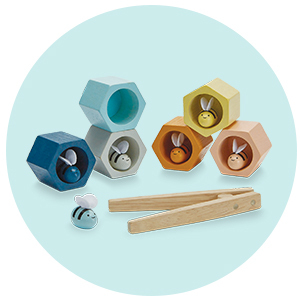 Holztiger, based in Europe, create the most beautiful handcrafted wooden toys designed to fuel your child's imagination. 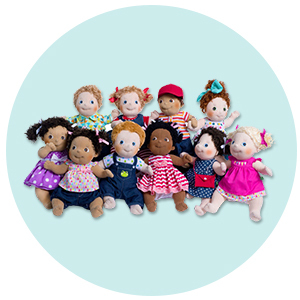 Each artisan is trained for six to twelve months to make just one figure in the range. The result of which is amazing quality and detail. 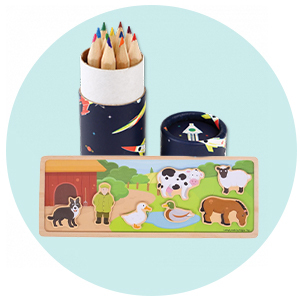 Build a collection of farm animals, woodland critters, wild creatures, dinosaurs and fantasy figures. Then bring them all together for a Christmas celebration. 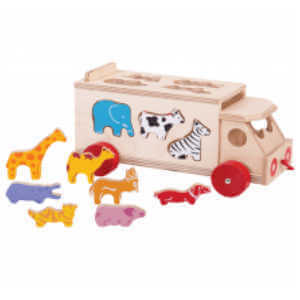 Holztigers wooden stable, manufactured from solid hardwood has been hand painted with water-based paints. 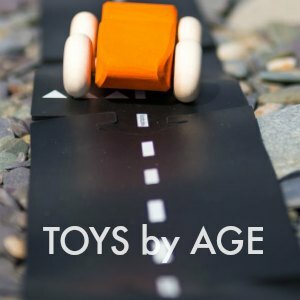 All of Holztiger's beautiful toys are handmade, built to last, and as unique as the children playing with them. The detachable star makes this nativity stable the perfect backdrop for your holiday decorations. Once Christmas is over remove the star and you have horse stables, mobile stables or tack rooms depending on the day. This stable block will be the perfect home for your animals year round. Open your stable doors to baby Jesus in his manger, Mary and Joseph, Angels, Kings and Shepherds. And of course, as many animals as you can make space for. We love the camels, donkeys and sheep but don't be surprised if your little ones add in a sneaky giraffe of a lion cub. Building your scene during the run-up to Christmas is a great way to slowly add to your Christmas decor. We love the idea of getting a new figure for the wooden nativity set or decoration for the Christmas tree in your advent calendar each morning. This will become a treasured family tradition in no time. And in 30 years you'll be watching your grandchildren doing the same. And if Bible stories don't feature you could build an equally lovely Christmas scene with Santa Claus, a sleigh full of presents and a herd of reindeer. You could even have your very own Rudolph. Simply stunning quality these beautiful hand carved toys are made from sustainable hardwood and hand painted with eco-friendly paints. 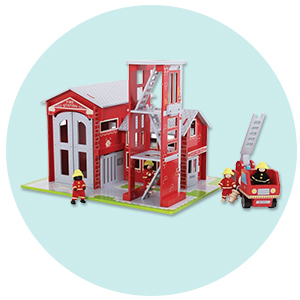 Children will have hours of fun building magical make-believe worlds. And they are certainly attractive enough to have as ornaments at Christmas or any other time of year. The Ostheimer camels are just wonderful, full of character and ready to travel across the desert with following the Christmas star. Choose them with or without a saddle and prepare for all sorts of magical adventures long after the rest of the Christmas decorations have gone back in the attic. The sheep and cows also make particularly delightful stable residents to watch over baby Jesus as he sleeps in his manger. Although quite different in style, Holiztiger and Ostheimer are perfect to mix and match and any of the stables or farm buildings would work equally well for a nativity scene. 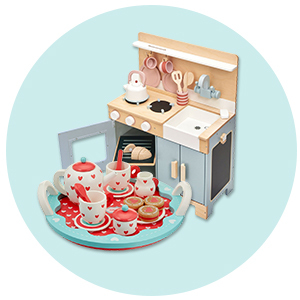 We know that Christmas can be an expensive time and that the most popular items get snapped up quickly. So to help you plan ahead and spread the cost you can set up a Christmas Club (or Birthday Club). 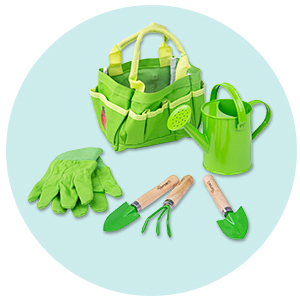 Simply pay a 20% deposit and your items will be reserved. Then pay the rest in installments to spread the cost. You can even change your order up to two times so it's not the end of the world if you need to add a few extra bits. As with everything on the site, Babame offer fast free delivery when you spend over ÃƒÆ’’Å¡£40. Easily done with toys this beautiful. And because we realise that it's not always that easy to judge exactly what you are getting when you buy online we offer a no questions asked refund policy. Simply post what you don't want back to us, in its original condition and packaging of course, within 30 days, and we will refund or exchange. Advent wooden nativity set - Using our beautiful advent garland of boxes, each day leading up to Christmas day, your child can discover a new piece of your wooden nativity set. You could follow the story chronologically with our wooden nativity set. Start with the Angel then Mary, then Joseph, the donkey, the stable, the animals. Then, break slightly away from the story and have your wise men and shepherds next. The baby Jesus could be the final gift from your wooden nativity set on Christmas day. Wooden Nativity Set story sack - Place all of the figurines into a sack and as you tell the story your children can act it out. Wooden Nativity Set Decorative scene - There are many places that a wooden nativity set scene like this will look amazing, a fireplace hearth, mantlepiece, a deep windowsill or as a table centrepiece. Use nature to set the scene for your wooden Nativity Set - With your children you could forage outside for leaves, pinecones, acorns and conkers to set an autumnal scene for your nativity set to sit in. You could also visit a local farm for some hay to create bedding for your figurines.